I would repeat myself, that to get the maximum results out of the chess improvement guide you need to have a pretty good idea where you stand rating-wise right now. The best way, of course, is to play a “real life” over the board tournament (or maybe a few) and obtain an official rating. If it sounds like something you don’t want to invest your time and effort in, you can try playing on one of the chess playing sites like FreeChess.org (FICS). Try to get an established rating by playing multiple games. This rating wouldn’t be exactly equivalent to ELO (it tends to be an overestimate, subtract ~200 points) but it will give you a decent idea where you at. This is a category for players who are absolute beginners meaning that they never heard of chess before, or even if they did – never played it. The first thing to do is to learn the basic rules of the game (chess board setup, pieces moves, promotion, castle en passant, checkmate). To understand the chess slang, in other words if you don’t know the difference between Zeitnot and Skewer you may want to check out the Dictionary of a serious chess player. Then, after the rules are learnt and understood a lot of practice is needed in order to make a leap to the next level. 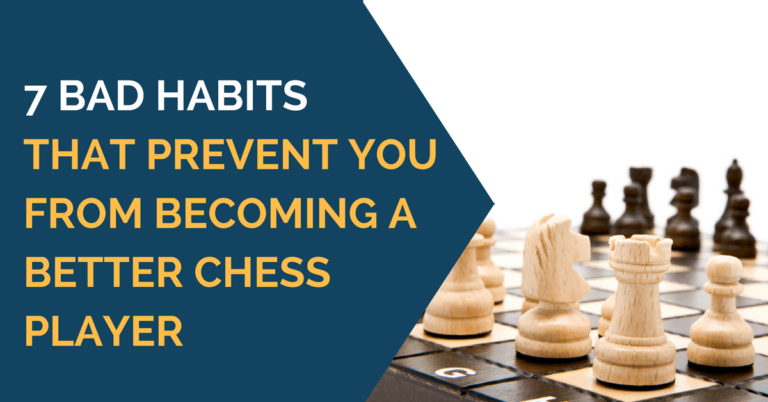 Joining a local chess club should provide enough practice for improvement. On this level, most of the games are being won or lost due to a serious blunder or even a series of blunders. Therefore, to dominate tournaments on this level you just need to blunder less often. Here are the two suggestions that will aid you in eliminating blunders. First of all, write your moves down before you play it. Secondly, double check your move after you write it for 10 seconds or so, to make sure that it’s not a blunder and you will not lose the game immediately. A simple thing like that will help you to avoid up to 90% of blunders and will save many games. This advice is good for players of all strengths. I recommended reviewing 7 deadly mistakes every novice player makes. If you got to this point I assume you have eliminated most of the one-move-and-resign type of blunders. It is a good time to start doing elemental tactical exercises (simple one-two move checkmates, forks, discoveries, pins). If you really want to improve you need work on tactics continuously on everyday bases. Remember, it is better to spend 20 minutes a day/5 days a week on solving tactics rather than 100 minutes in a single day once a week. Think of it as a bodybuilding for your brain. If you got to this point I assume you have eliminated most of the one-move-and-resign type of blunders. It is a good time to start doing elemental tactical exercises (simple one-two move checkmates, forks, discoveries, pins). If you really want to improve you need work on tactics continuously on an everyday basis. Remember, it is better to spend 20 minutes a day/5 day a week on solving tactics rather than 100 minutes in a single day once a week. Think of it as a bodybuilding for your brain. Study some openings, but don’t dedicate too much time to it. As I have wrote previously 20% is an optimal amount of the total study time that should be spend on the initial phase of the game at this point. You don’t need to memorize any lines, you just need a basic idea of what’s going on and where to develop the pieces (ex. Sicilian Dragon: white plays for either break in the center or king’s side pawn attack, Black is active on the queenside). Keep working on tactics, it can be either a book with hundreds of problems or a program like CT-ART. I recommend reading 13 Checkmates You Must Know to enhance your attacking skills and also to know the things to look for, when defending. You already have some basic idea of the openings you playing and you’re hopefully an okay tactician (you should continuously practice on this one picking up more complex problems) and you familiar with elemental endgame mates and promotion pattern but you’re still lacking an endgame technique to convert that extra pawn into a full point win. It is important to be able to win basic endgame positions such as King + Pawn vs. King, King + 2 Pawns vs. King +Pawn and similar. Rook endgames are also very important since they arise often. Therefore, it is a must to have at least some basic understanding of this type of endgames (Rook + Pawn vs. Rook). I suggest reading improve you endgame play to further understand what types of endgames are crucial to understanding. At this stage, you should be a well-balanced chess player which has a pretty good idea what opening he’s playing and what kind of position will it lead to. Your tactics are getting better and better every time you do the tactics training. Your endgame play is okay, meaning you can easily win standard theoretically won endgames. If the endgame is non-standard, but won, you most likely have difficulties converting advantage into a win. It is time for more serious endgame training. I recommend checking out these three endgames to jump start your progress: Two Bishop Checkmate, Knight and Bishop Checkmate and Queen vs. Rook Endgame. The following exercise is very useful for one wishing to improve the endgame play: challenge a strong computer program (Rybka, Fritz, Chessmaster, etc.) 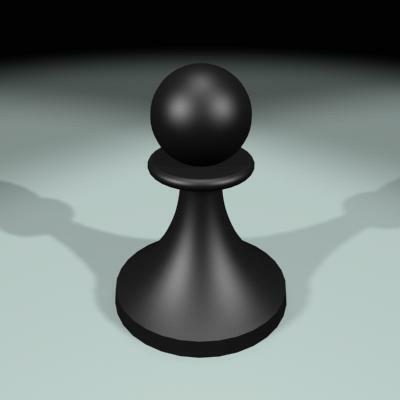 by setting up a Pawn and King endgames, when you’re being 1 pawn up. You can start with 2 pawns vs. 1 and when you’re regularly beating the program add number of pawns (2 vs. 3, 4 vs. 3 and so on). After you have finished with King and Pawn endgames you can throw a couple of minor pieces on the board to make the position more complex. Doing that will give you a good feel for the endgames and you will play them out with greater confidence, leading to more won games. You may also solve unclear endgames using 6 pieces Nalimov endgame tables. Congratulations, you’re a about to become an expert or a candidate master which is a pretty good achievement since a 2000 rated player is stronger than about 90% of all rated chess players on our planet. It means that if you pick 10 random, officially rated chess players you’re likely to beat 9 of them. 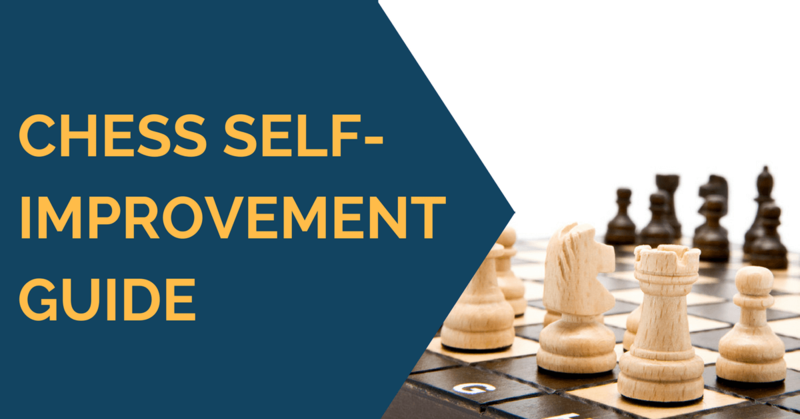 In order to make further progress you need to systemize all the chess knowledge you have and work on your personal weaknesses. The first thing you need to do is to systemize your opening preparation. The best thing to do is to have all the lines you play stored on a computer and add new ones when they appear in practical play. You can also add annotations to the lines to clarify which moves are the best and why. Ideally you should have 2-3 lines as white/black that you know well. I have previously written an article on building an opening repertoire, you can use it as a guideline. It is very important to analyze your own games in order to make further progress. When analyzing games you should find and record mistakes for both sides, not just your own and provide a better line instead of the one played in a game. 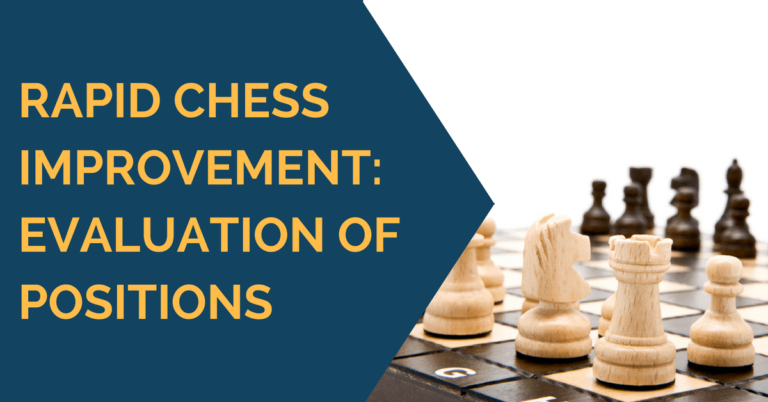 In order to analyze the game precisely you need to repeatedly evaluate chess positions which arise on the board. You need to take into account factors such as king’s safety, material on the board, pieces activity, and pawn structure. When analyzing your own games look for patterns of mistakes that take place. You need to find at what type of positions you play better or worse and work on your weaknesses. For instance, if you know that in queen endgames you lose about 60% of games it is a good pointer to work on that type of endgames. You should do the same kind of statistics with your openings and middle games. Being a serious chess player requires taking every opportunity you have before, after and during the game. Nutrition, time management and psychology are important aspect of the game and not to be underestimated. Is very valuable and helpful. On the board chess is a physical game. A gut knowing what to do at giving moment. The match. …. With a win draw or lost. Hello, David. It is actually a very interesting and deep question which is worth writing an article on it. As a general idea you should first go through the game at a regular pace without reading annotation and try to understand the moves for yourself. Then you can read annotation and compare the author’s conclusions with your own. That way you will learn much more and will understand the game much better. Good luck! Hi there. I am wondering how do you actually study a master’s game? Do go through the game as quickly as possible? Or do you go through them slowly and think of the reasons why certain moves are made? (wouldn’t weaker players have difficulty in doing this?) Or should I cover the moves of my hero-player and try to guess his next move? What’s the best way in your opinion? Thanks.